How often have you caught yourself doing things to make others’ lives better, and in some cases, even better than your life is? How often have you done something to help others, that you would never have tried to do for yourself? How often have you been more upset and unsettled when a friend was mistreated, even more than when you are mistreated? Bet more of you — in fact more of you than you might admit, answered “often” to all of the questions above. 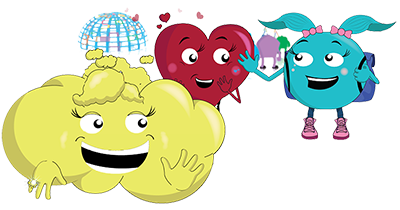 The topic of bullying is (unfortunately) a very serious and real topic. As is the message that we need to all stand up against bullying. Have you ever even spoken up against someone else getting bullied, while never speaking up for yourself? I wrote this book to share a behind the scenes glimpse in living a bullied life. The shame, the embarrassment, the “it must be me” thoughts – the need to NOT be in the spotlight, to not be noticed. The desire to shrink away, even from our friends. I hope this story serves as a reminder to have conversations with the kids in our lives, to notice when things are a little off. A reminder to really engage with them, and to know their signals when things are “all good” or when “all is not good”. I also wrote the book to put a spotlight on the fact that we sometimes tend to do more, better and more actively, for the benefit of our friends. Honesty, who had been bullied multiple times before sharing any of his experiences with his friends, did nothing to stand up for himself. But when his friend Harmony was bullied by Bully, without a thought, he stood UP – in fact, way UP, for his friend. Honesty epitomizes the kids I saw being bullied through childhood. The nicer, quieter kid who really doesn’t get into much of anyone’s way. The kid who is often the one who is bullied. What we see Bully doing to Honesty in this story is only the tip of the iceberg. The hurt and damage from being bullied goes far beyond the words hitting our ears – in fact, that is only the beginning. And as many of us have done, we see Honesty standing up with courage and strength for a friend – after seeing him not do this for himself. Our most important relationship in life must be with ourselves. What we do for our friends, we can, and must do for ourselves. To truly stand up and speak up for what is right, it starts with you, for you! 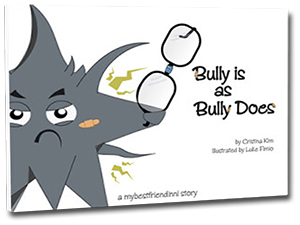 To read more on Honesty, Harmony and what Bully does- Get our FREE e-book under the products tab!